Greetings Travelers! Thanks for checking out my page and wanting to learn more about me! Feel free to contact me with any questions you may have! For business inquiries, email tawad27@optonline.net. Click here to shop Running Warehouse. A portion of any purchase will come back to me! I just got DQ'd from indoor world's. Damn. Born and raised just outside of New York City, Thomas attended Chaminade High School in Mineola prior to the University of Pennsylvania, where he earned a degree in Health and Societies. While competing for the Quakers, Thomas was instrumental in the successes seen by the team since he joined in 2012. To his list of accolades, he tallied All-American honors and the Ivy League record for the mile (3:57.03). In his debut at the 2016 Olympic Trials in Eugene, Thomas earned a spot in the semi-finals on the 1500 meters. Though he has specialized in distances ranging from the mile to 5k, Thomas says, "I want to be able to run every race. Anything from the Mile all the way to 12k and maybe even beyond. 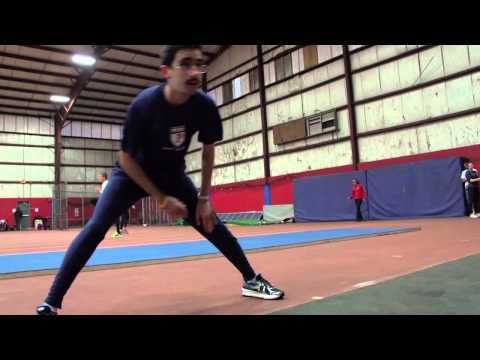 I am a distance runner and want to showcase my distance range as a runner." He is thankful for support he receives, and admits that the experience of being a professional runner is humbling and encouraging, stating, "Being a professional runner was never something that crossed my mind when I started running cross country in high school, and now I am at the point where people sometimes want my autograph." 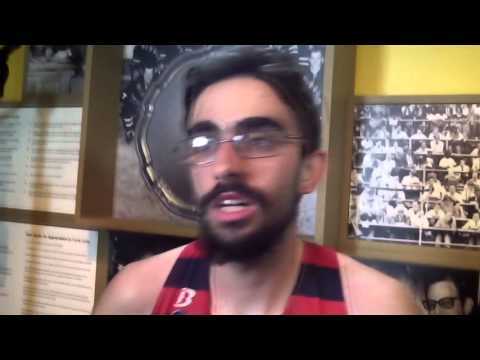 Oddly enough, it has been pointed out to Thomas that he does not look fast, saying, "People see my body and do not take me as a top American distance runner. I may not have the 'runner look', but I compete just as well as the best of them. People come in all different shapes and sizes and someone's physical appearance should not dictate who they are or what they do. Off the track, Thomas has, "nerdy hobbies like watching anime and watching professional gamers. These hobbies may not be the coolest in the world, but they are special to me and are things that have made me into the person and runner I am today."